Description : Poppy seeds are anesthetic, aphrodisiac, astringent, constipative, demulcent, hypnotic, nutritive, sedative and stimulant. Useful in cough, asthma, phthisis, insomnia, weakness of liver and kidneys, urinary diseases and chronic diarrhoea. Also useful in menorrhagia, dysmenorrhoea, irritable states of the uterus and metritis. It is a very good tonic and energetic food. 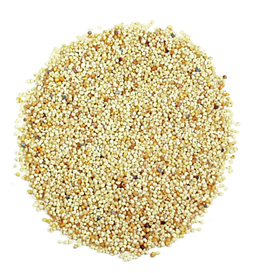 The oil from the seeds removes dryness of the brain and induces sleep. Relieves headaches due to intensity of heat and strengthens the brain. Recommended Dosage: Seeds : 1 to 3 g powder of dried seeds; Oil : 3 to 6 ml for external use.